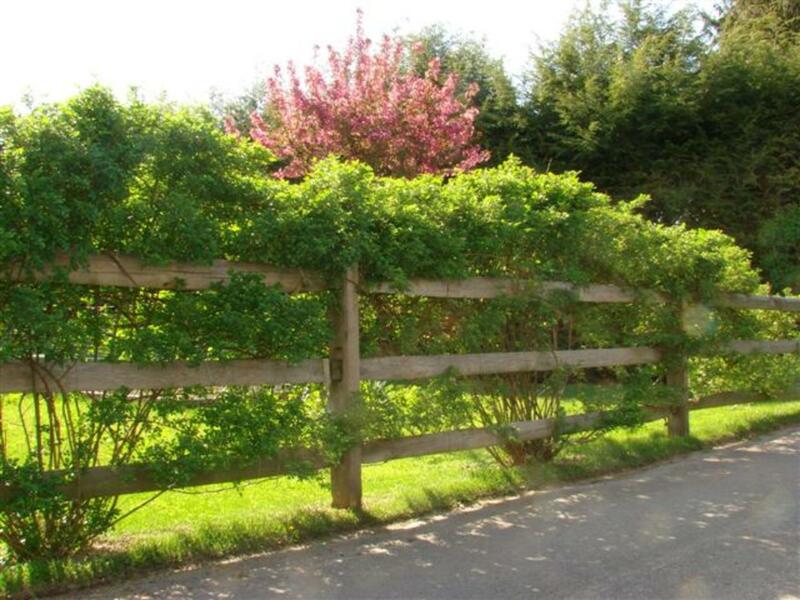 Our traditional split rail fence is the most popular type of fence on the East Coast and we're one of the largest split rail dealers on the East Coast because of our low pricing, expert and friendly customer service, large inventory and top quality. 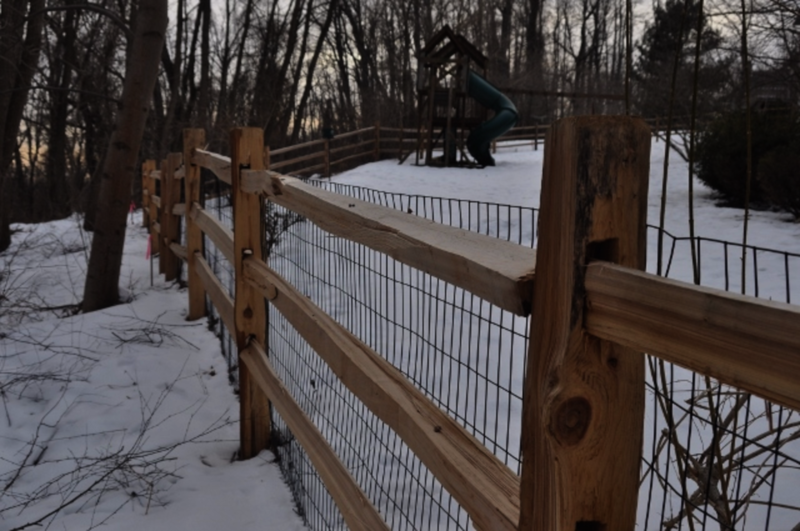 Split Rail comes either pressure treated or with long lasting locust posts that can be paired with natural (untreated) rails or pressure treated rails. The standard size rails are 11' long for 10' 4" post spacing. 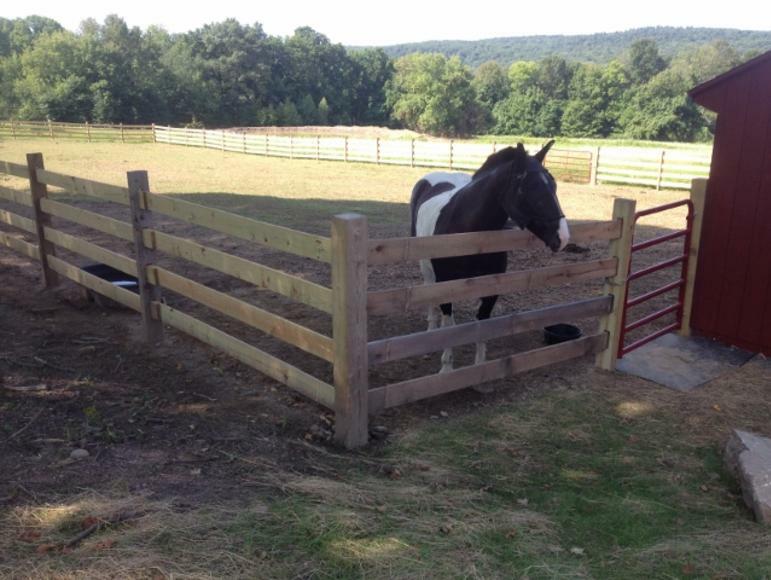 We are also one of the only split rail dealers to carry the economical 8' 6" rail for 8' post spacing. Slip Board Fence is similar to split rail in construction, except it uses milled 1"x6"x10' boards instead of rails for a more finished appearance. 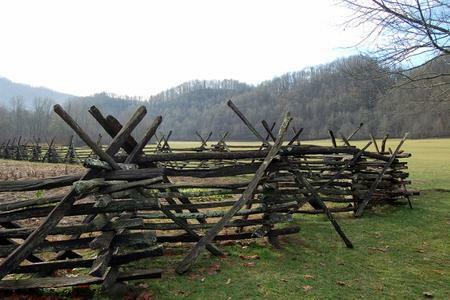 The boards "slip" into the posts similar to a split rail. Boards can also be nailed on to the posts (without holes) for a board fence look that you might see on a high end horse farm in Kentucky. Western Red Cedar split rail is very popular out west but very tough to find in the Mid-Atlantic region because western red cedar doesn't grow in this area. We are one of the only western red cedar split rail dealers in the area and our cedar split rail comes from Idaho. 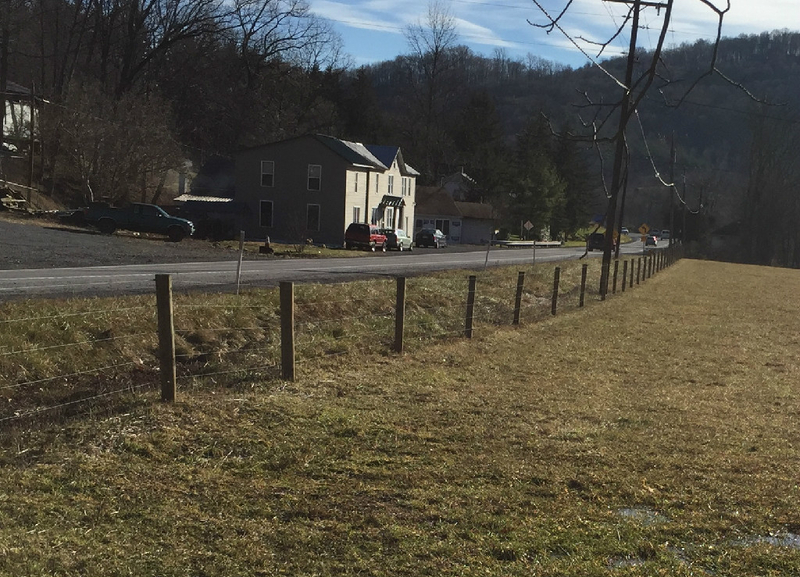 Rails are 10' long for post spacing of exactly 10' since these rails do not overlap like most split rail fence. If you are looking for the timeless and economical beauty of traditional split rail fence but want something distinctive, cedar split rail might be a good choice for you. Round cedar split rail is made of white cedar from Canada. It is a slightly more refined look than traditional split rail, and comes with 10' rails for post spacing of 9' 6" - 9' 8" to allow for overlap. 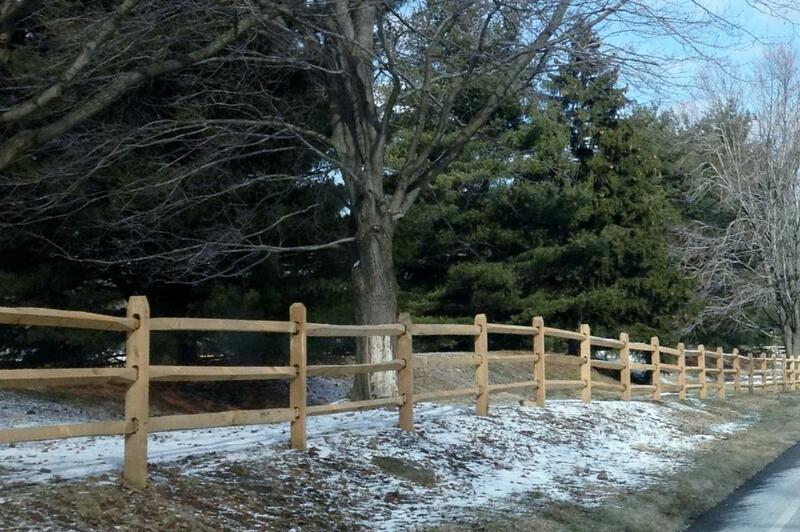 Our round rails have flat tapered "paddle" ends and fit together similar to traditional split rail. If you are looking for the timeless and economical beauty of traditonal split rail fence but want something distinctive, round cedar split rail might be a good choice for you. Aging--the wood will turn silver/grey over time and will develop "checks" or cracks along the grain. This is normal and does not affect the longevity of the fence. Vinyl Ranch Rail provides a formal touch, reminiscent of a well heeled horse farm, to any property. It serves the same functions as wood fence but its glossy white appearance stays looking new for years. 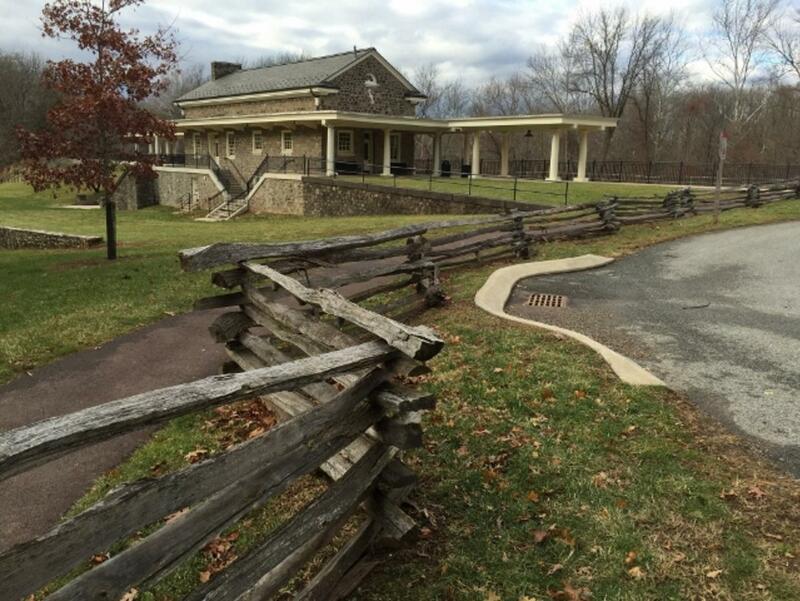 Snake Rail Fence is the original "split" rail fence first seen in colonial times and still in use today at historic sites like Gettysburg and Valley Forge Historic Parks. If you want the look and feel of Early America this fence is for you. Snake rail fence is split or saw cut. Historic snake rails are split, 11' long and not tapered. This has very limited availability. A good substitute is the western red cedar rail, which is also split on grain, but is 10' long. We can also get saw cut pressure treated snake rails ordered in on request. Add 2 additional rails per section if you want full size cross braces. Installation is easy--no holes to dig or special tools required. Just start stacking, measuring 7 linear feet per section. It is best to stack them on a flat stone at each joining point to help preserve their useful life. Concrete Posts for Split Rail, these are high quality 3 hole posts, 150-180 lbs each, 6.5' long with 15" on center hole spacing with a 2" top. A great price of $49 each. Round Farm posts are very popular for agricultural uses. 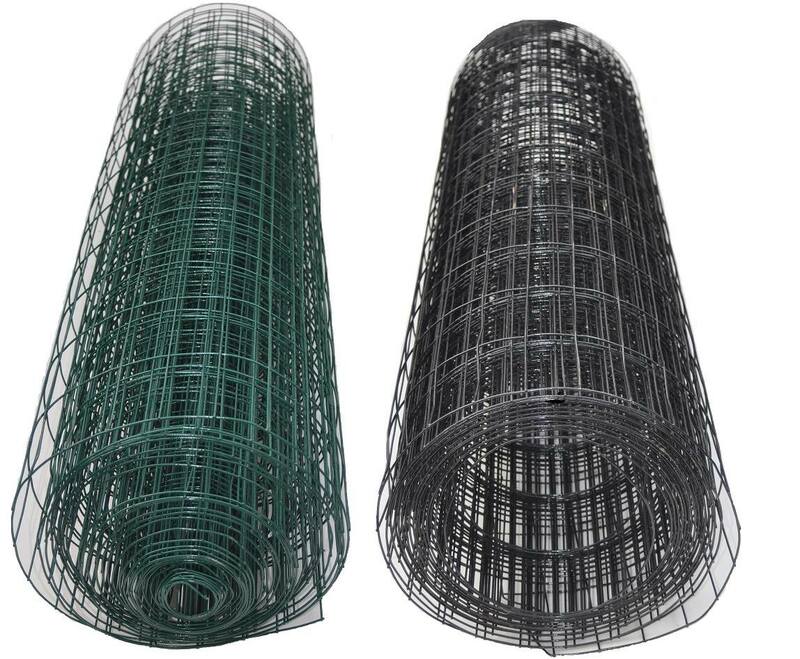 Used with high tensile wire (electified or not), barbed wire or heavy duty wire mesh this is a great system for containing livestock and defining rural properties. 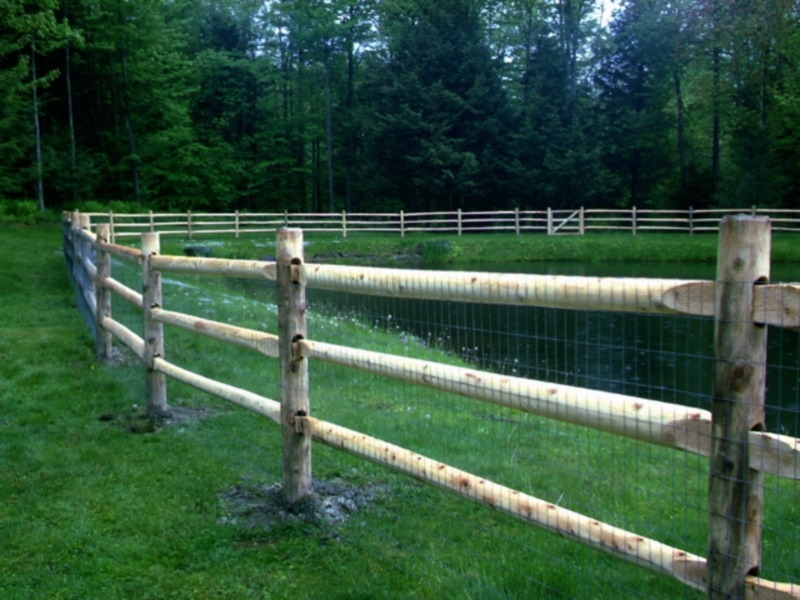 Taller posts can also be used with wire mesh to control deer and other pests. Other sizes are also available! PVC coated welded wire is perfect for containing dogs and other pets and for keeping out pests. It is extremely durable, attractive and easy to install. Attach it to split rail or board fence with staples or U-nails, or install directly with steel posts. ​Other sizes are available too! Please ask for assistance. We can custom order any fence style you like in vinyl from Illusions, Grand Illusions and BuffTech. Please call to find out more.